Acupuncture is already widely accepted in America. The practice of acupuncture is deeply rooted in Meridian Theory. 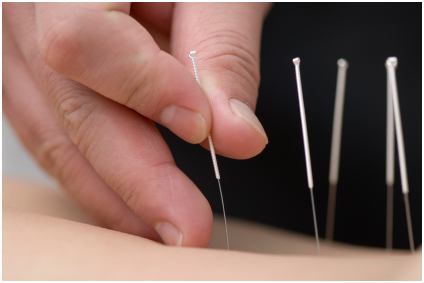 By inserting fine needles at points in the body, acupuncturist can send stimulus through the meridian to affect the whole body. Therefore, acupuncture can treat local conditions as well as internal illnesses. Contrast to herbal medicine, acupuncture relies more on triggering the body’s immunity and healing power. After overcoming initial fears, most people find acupuncture treatment very relaxing. Acupuncture is particularly effective on pain management, digestive illnesses, gynecological illnesses, joint problems and stress-induced illnesses. To gain the full benefit of acupuncture, the acupuncturist must possess the finesse of manipulating needles and the ability to make detailed diagnosis. The result of treatment can vary greatly among acupuncturists due to the craft-like nature of this therapeutic method.